Provision Interactive Technologies announced that Perrier Sparkling Mineral Water (“Perrier”) will be testing a national advertising campaign on Provision’s 3D Savings Center kiosks in efforts to influence consumer purchasing decisions at the point-of-sale. 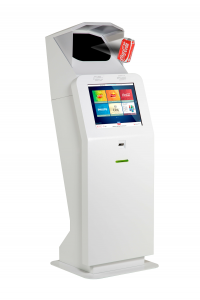 The 3D Savings Center kiosk contains Provision’s patented and award-winning 3D holographic display and a 2D interactive touch screen that provides consumers access to information, promotions, rewards and coupons. Shoppers in leading retail stores will be drawn to the 3D, holographic image of the Perrier products floating in thin air in front of a 3D Savings Center kiosk. Once at the kiosk, shoppers will be able to use the touchscreen to retrieve a coupon that can be used immediately for Perrier water products.